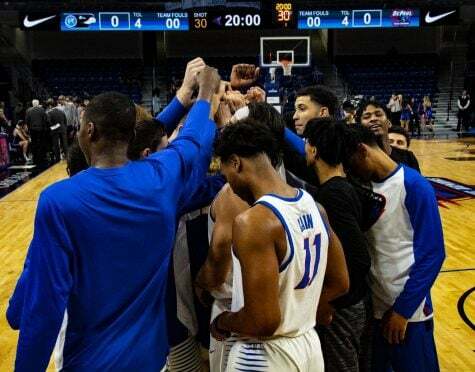 After a questionable performance in their exhibition game against Rockhurst last week, the DePaul Men’s Basketball team tipped of their regular season at home against Bethune-Cookman, from the Mid-Eastern Atlantic Conference, defeating the Wildcats 80-58 Wednesday night. 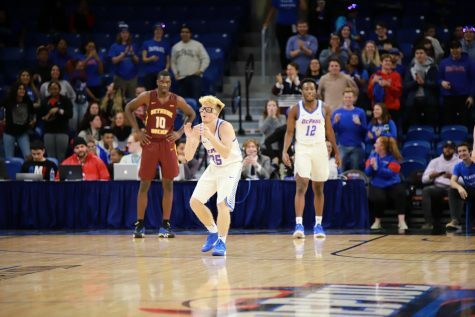 Bethune-Cookman was no pushover for DePaul, the Wildcats provided the Blue Demons with a tough test in their first regular season game. In the first 10 minutes of the game both teams traded baskets as they were still feeling each other out. Both teams struggled to shoot from outside the paint in the early going, instead getting most of their offense from inside the paint and from the free throw line. 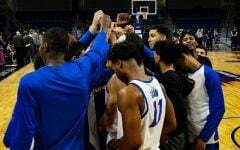 Bethune-Cookman built a five point lead, 22-17, inside the first 10 minutes of the half, however, the Blue Demons responded by going on a 19-3 run in the next 6 minutes and 27 seconds. The man that led DePaul on this run was senior guard Max Strus. After getting off to a tough start early in the game, Strus found his form late in the first half. He made 5-of-9 shots and went 3-of-7 from three and led all scorers in the first half with 16 points. DePaul’s defensive intensity also picked up late in the first half, as they forced the Wildcats into 10 turnovers, which led to 13 points. Senior forward Femi Olujobi also provided a spark off the bench, grabbing three rebounds and also adding five points in almost 14 minutes of action in the first half. 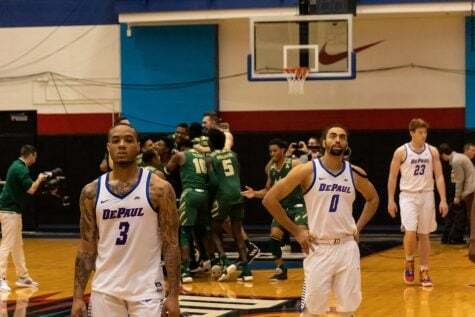 In the second half, DePaul came out with the same intensity that it ended the first half with. 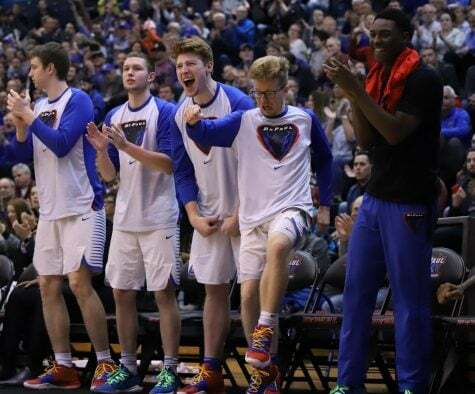 A dunk by sophomore forward Paul Reed at the 15:13 mark gave the Blue Demons a 50-36 lead and energized the crowd, which was only the start of a dominant second half. Strus also didn’t allow the break to cool him off, as he made two three-pointers to extend DePaul’s lead to 18. DePaul increased their defensive pressure in the second half, forcing more turnovers which led to even easier baskets at the other end. 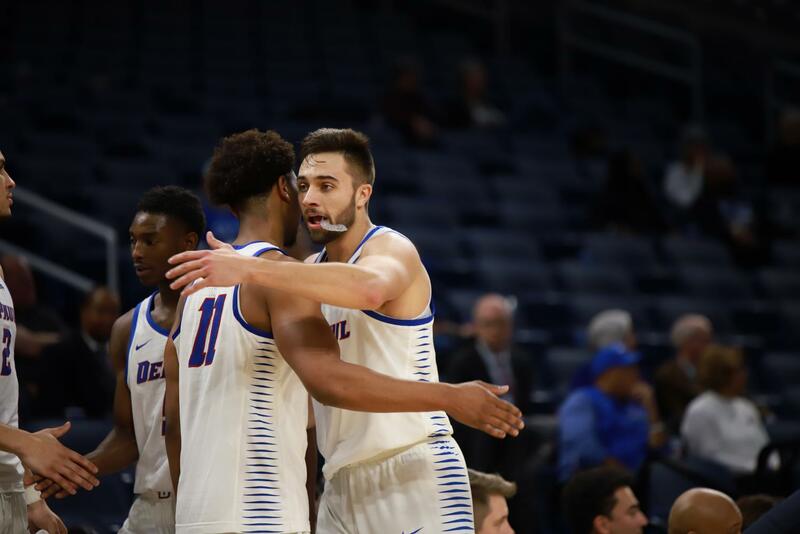 As much as Olujobi’s energy in the first half was one of the reasons why DePaul got a 12 point lead, Reed’s energy in the second half helped made that lead bigger in the second half. 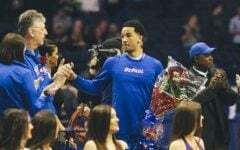 His energy on the defensive side forced the Wildcats to take tougher shots, and then his dunks on offense energized the crowd and the rest of the Blue Demons team. 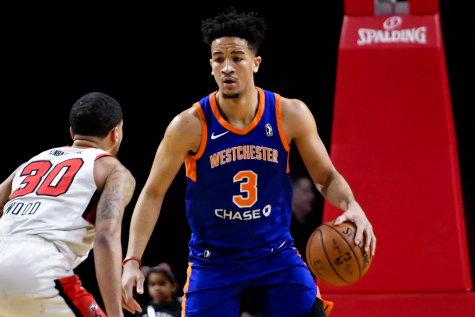 Strus and his teammates were able to play solid defense throughout the night, and then on offense they stayed patient with good ball movement to create open looks. 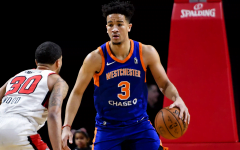 Strus, especially, was patient on offense, even after early misses he was able to get warmed up and start knocking down shots later in the game. Also, as sophomore guard Devin Gage, who played minimally in the second half, gets back to the speed of play after missing most of last season, senior guard Eli Cain took the responsibility of point guard through most of the night. 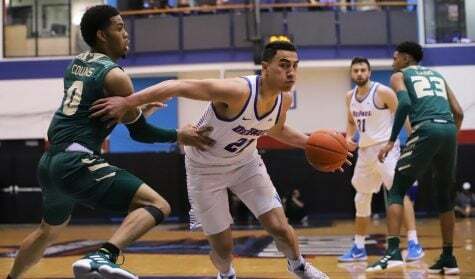 Even though Cain didn’t shoot the ball particularly well, only scoring eight points on 2-11 shooting, but he led the Blue Demons with eight assists. 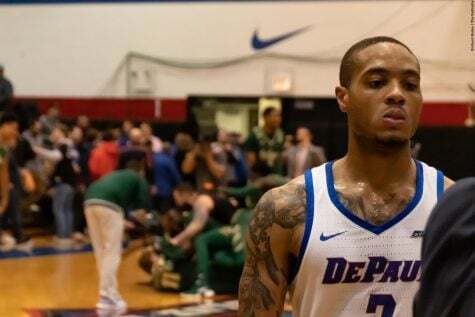 DePaul sophomore guard Pantelis Xidias made his DePaul debut, after not playing a single minute during his freshman season. 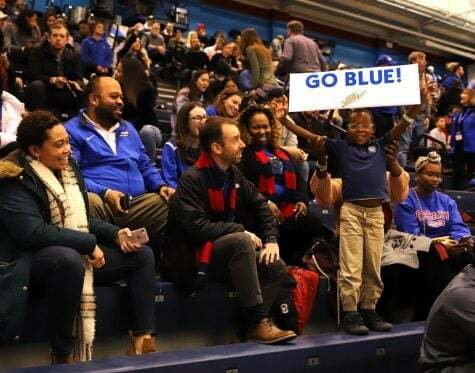 As DePaul kept growing their lead in the second half, Head Coach Dave Leitao began playing some of his newer players — like freshman guard Flynn Cameron, junior guard Lyrik Shreiner and freshman forward George Maslennikov. 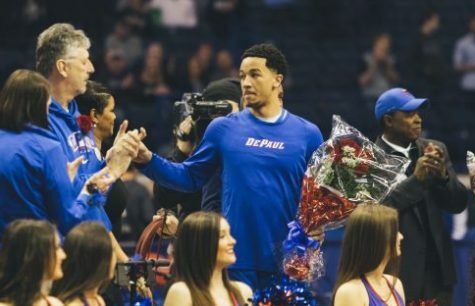 Possibly the best moment for DePaul fans and the basketball team, besides the victory, was seeing sophomore guard Pantelis Xidias make his DePaul debut late in the second half. 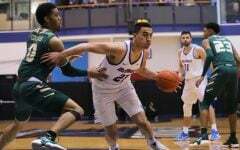 After not playing a single minute in his freshman season, it was a great sight for Blue Demon fans to see him in action. 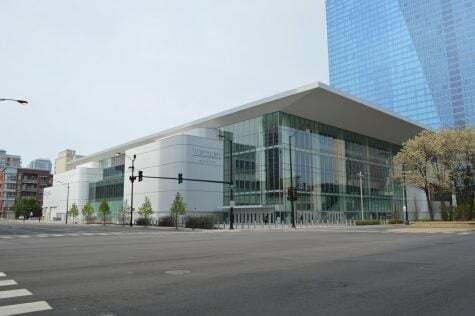 DePaul next plays Morgan State 7:30 p.m CT on Monday at Wintrust Arena.